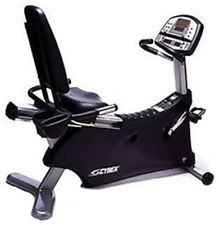 I just got a used Cybex recumbent bike. For the first 3 weeks it worked perfect. Then out of the blue the left pedal started clicking as I bring my foot around and up. It starts after using it for a minute or so. I would like help to help me fix it in laymen's terms. My husband has MS and it is up to me to do the handyman stuff now. I am able and willing to learn, just need basic descriptions and patience! Browse other questions tagged recumbent clicking or ask your own question.